The twin Van Allen Probes have spent more than six years orbiting through Earth's radiation belts. Orbit changes in early 2019 will ensure that the spacecraft eventually de-orbit and disintegrate in Earth's atmosphere. 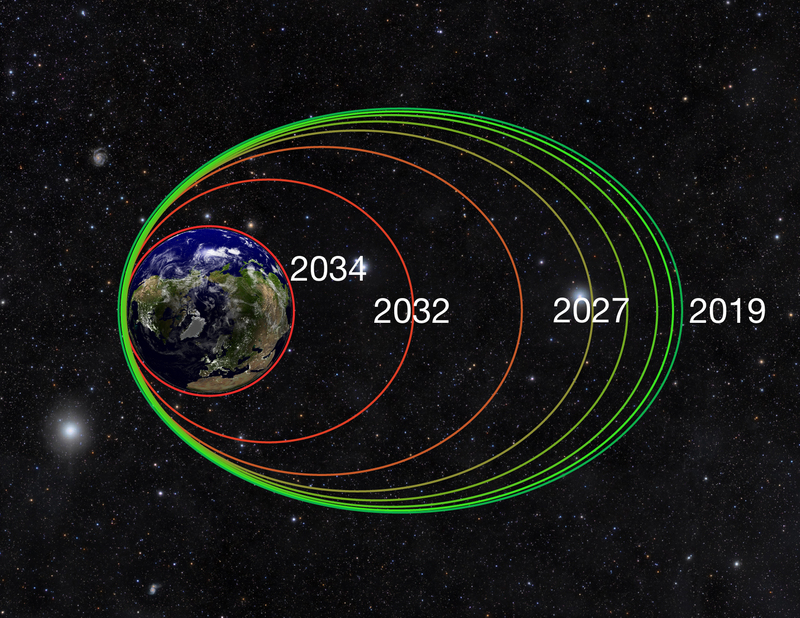 After performing de-orbit maneuvers in February and March 2019, the Van Allen Probes' highly elliptical orbits will gradually tighten over the next 15-25 years as the spacecraft experience atmospheric drag at perigee, the point in their orbits closest to Earth. This atmospheric drag will pull them into a circular orbit as early as 2034, at which point the spacecraft will begin to enter Earth's atmosphere and safely disintegrate.